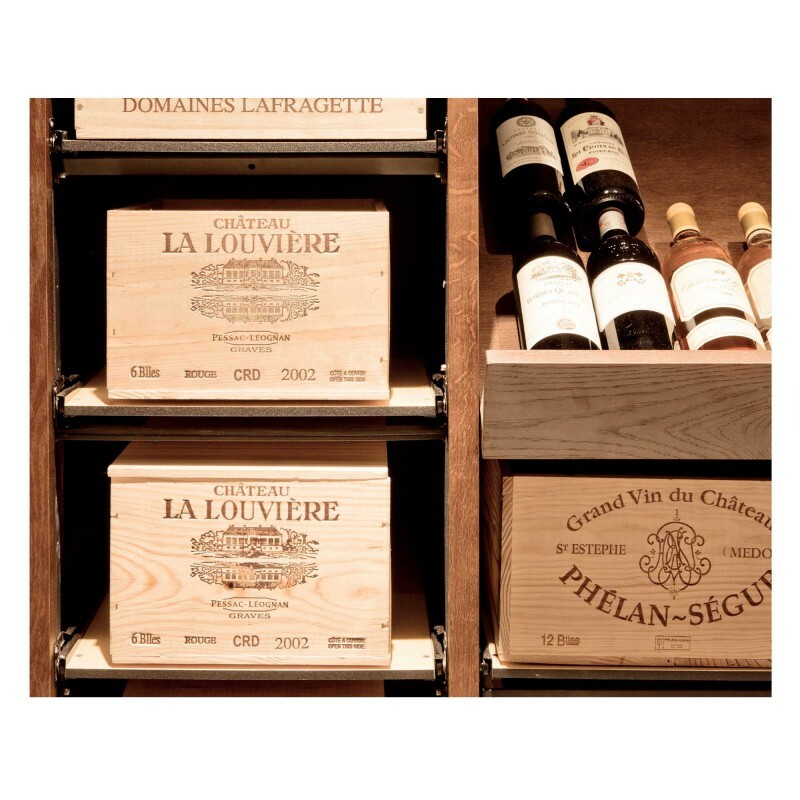 Modulorack allows you to store your bottles directly in their wooden cases, for optimal bottle organisation. 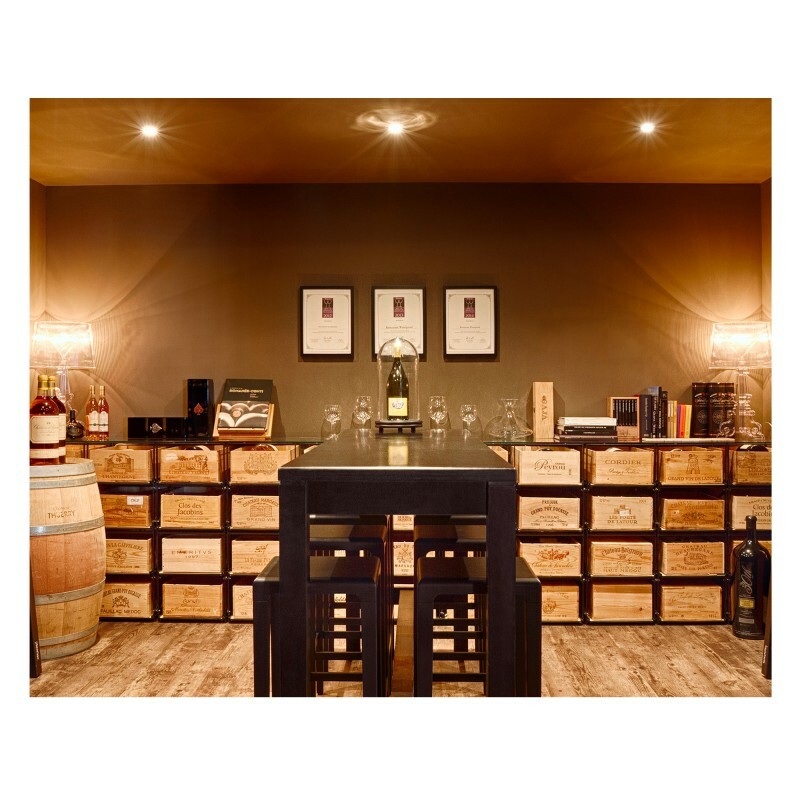 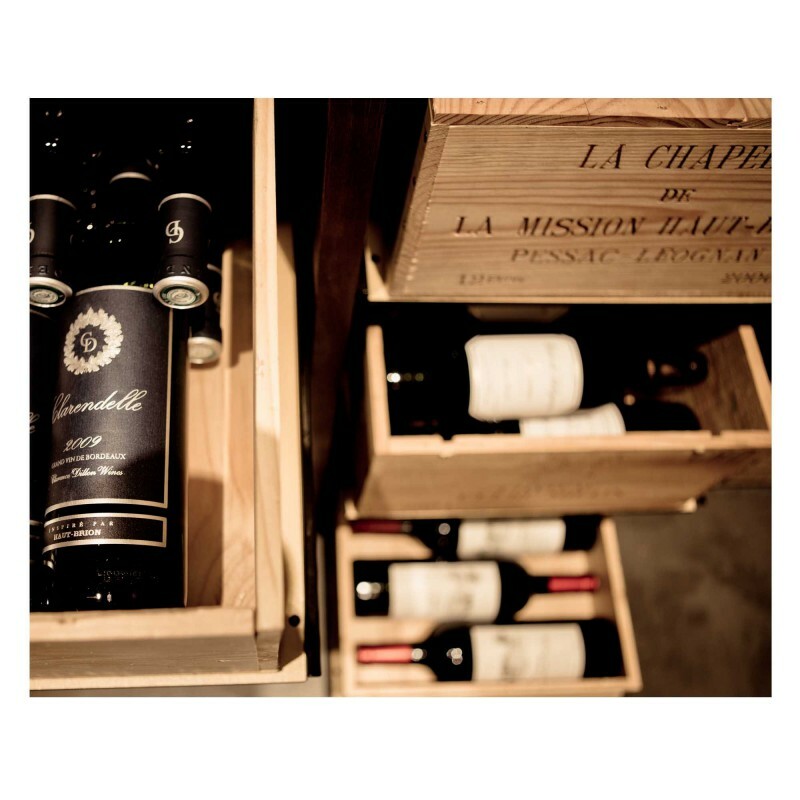 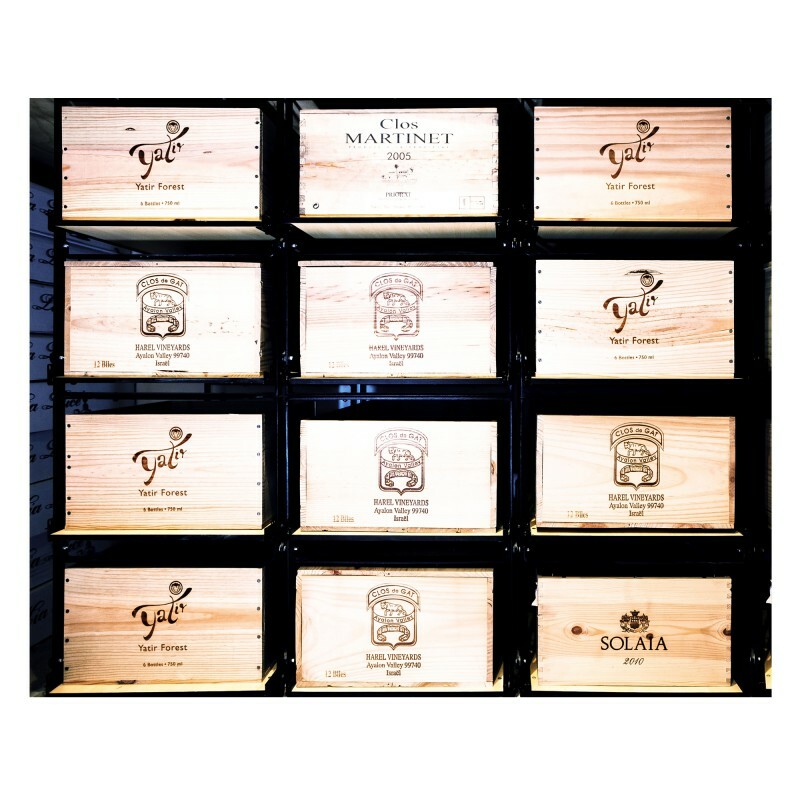 Assembled, they offer large storage capacity whilst creating a particularly attractive unit in your wine storage area. 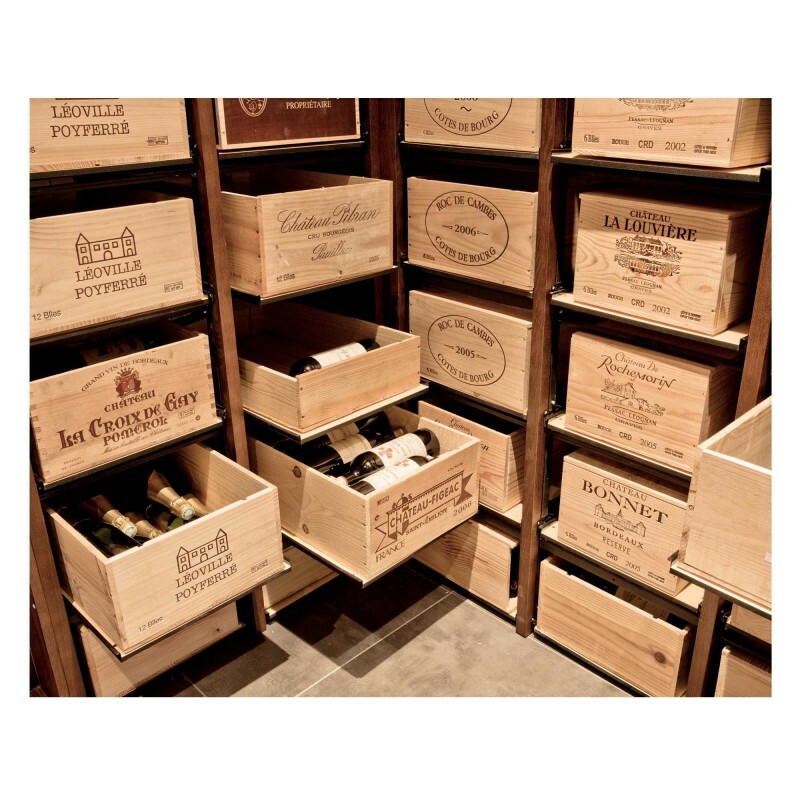 Secured to the floor, they form a sturdy, practical storage system. 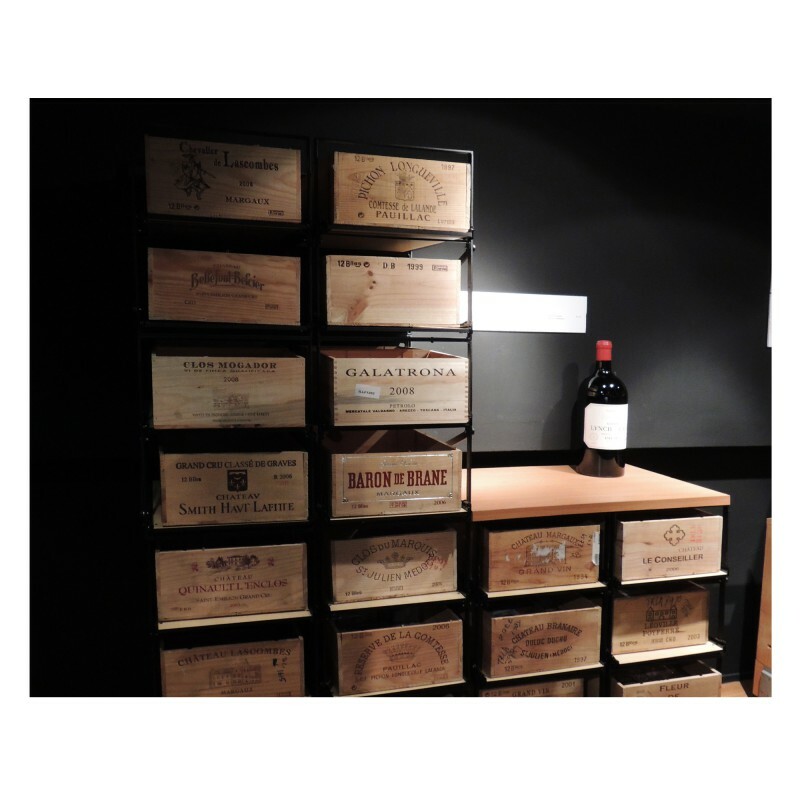 In this way, you can create a useful, attractive unit for storing wine bottles in their original cases. 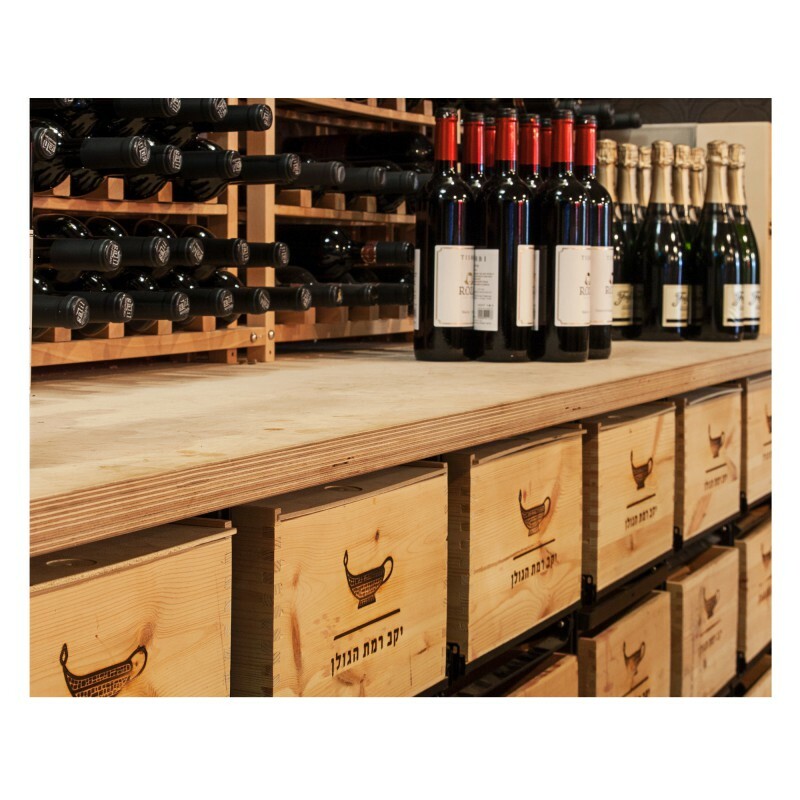 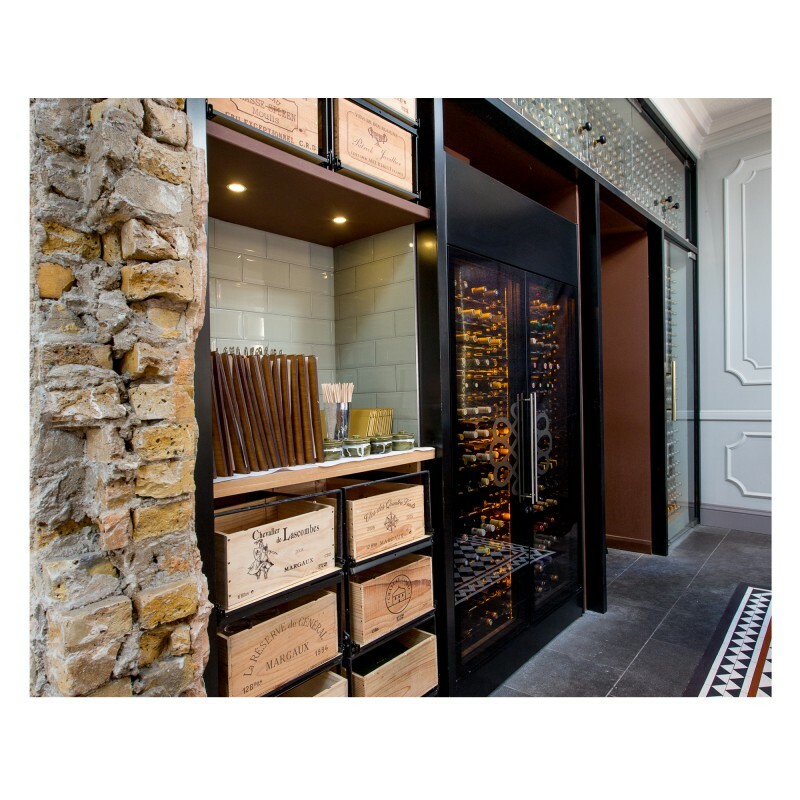 Based on the principle of sliding shelves used in wine cabinets, Modulorack is fitted with a system of sliding trays for storing wine cases, in this way facilitating bottle access. 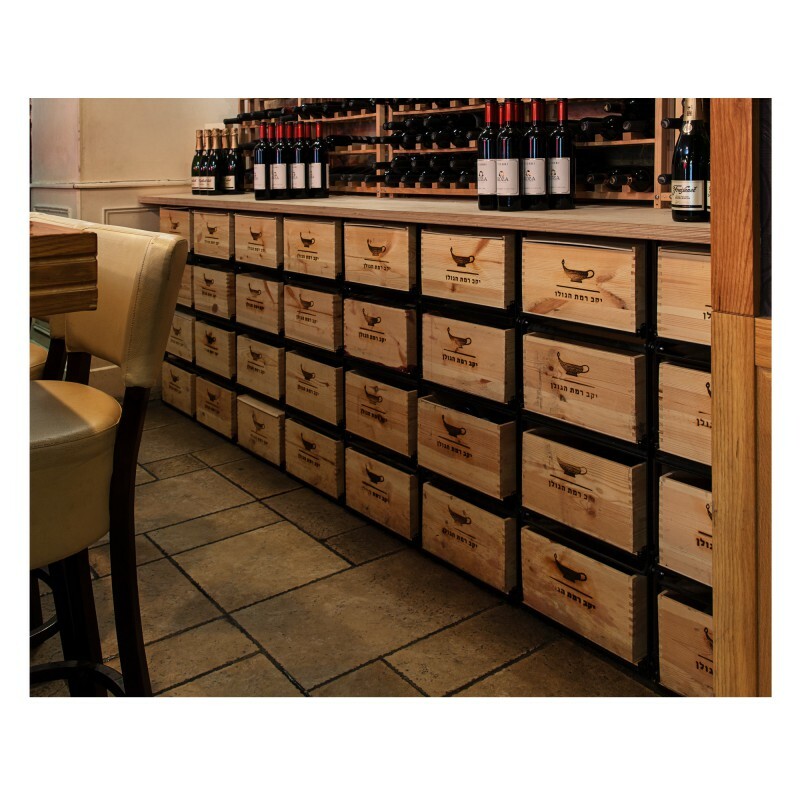 The spaces created in this way between the wine cases improve air circulation. 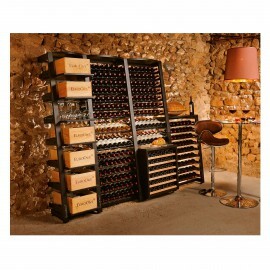 • One Modulorack is designed to hold two 12-bottle cases. 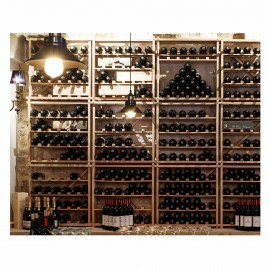 • Several Moduloracks can be assembled to increase storage capacity. 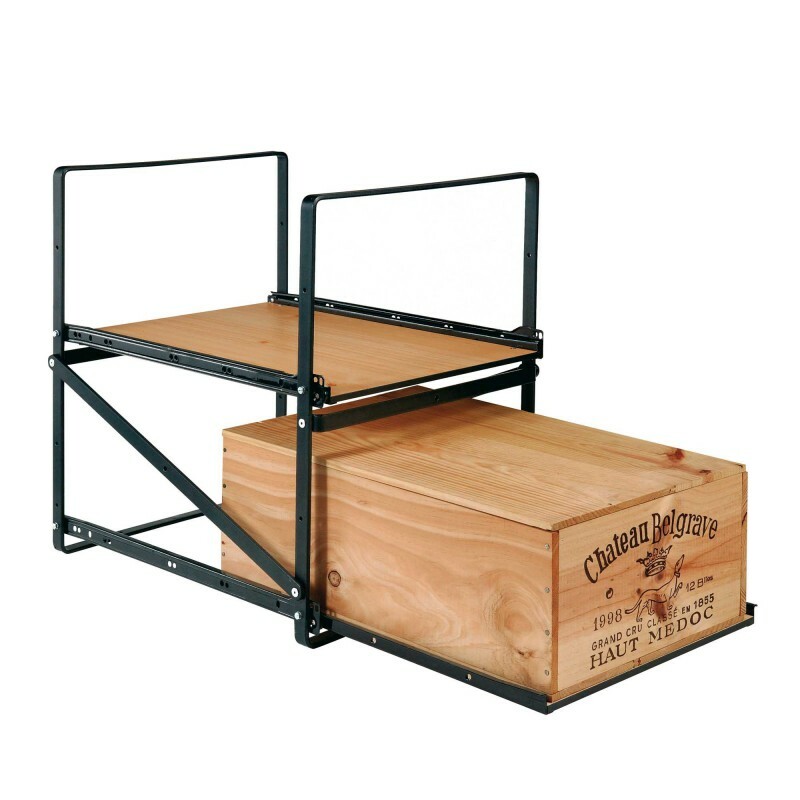 Please note, however, that you cannot stack more than 3 Moduloracks on top of one another. 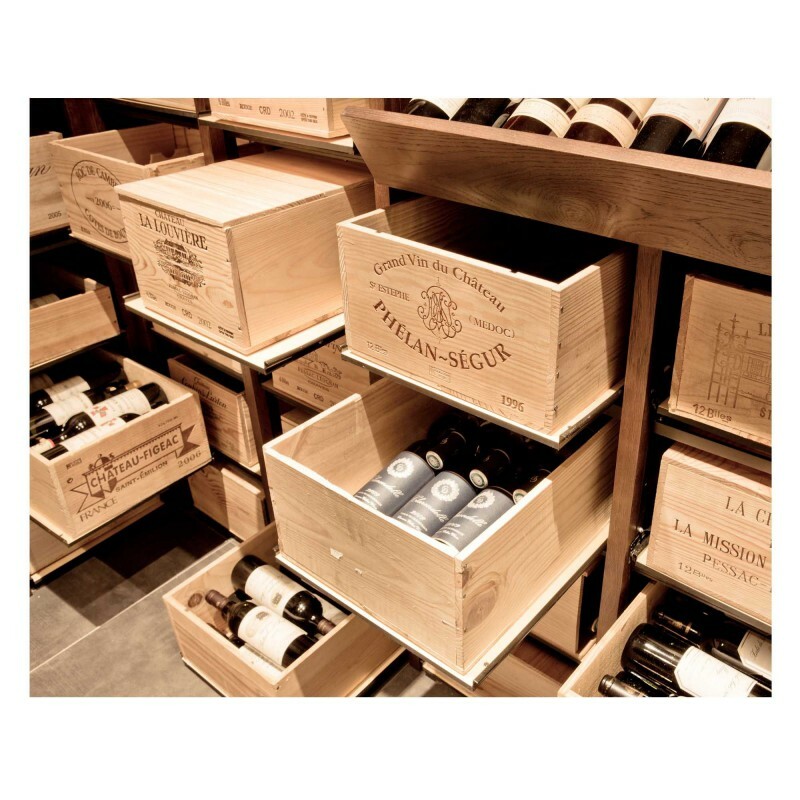 • The moduloracks must be secured to the floor and the wall from the second level. 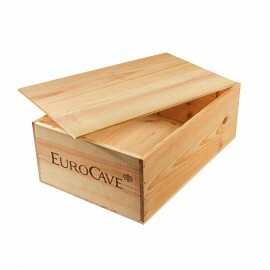 • Wooden cases sold separately.